Polski producent oraz DJ urodzony w Koszalinie. Tw�rca takich utwor�w jak Memories of Love, Chords, Challenger oraz znajduj�cego si� na naj�wie�szej kompilacji Armina van Buurena Universal Religion Chapter 7 numeru Gladius. Od pocz�tku roku 2013 jego produkcje regularnie goszcz� w audycji A State of Trance. W�a�ciciel labelu Arisen Music. Czy wiecie ju�, o kim mowa? Tak, specjalnie dla Was przygotowali�my wywiad z Arisen Flame! Polish producer and DJ born in Koszalin. Creator of tunes like Memories of Love, Chords, Challenger and the track Gladius which is included on the newest Armin van Buuren's compilation Universal Religion Chapter 7. Since the beginning of 2013 his productions appear on A State of Trance broadcast regularly. Owner of Arisen Music label. Do you already know who are we talking about? 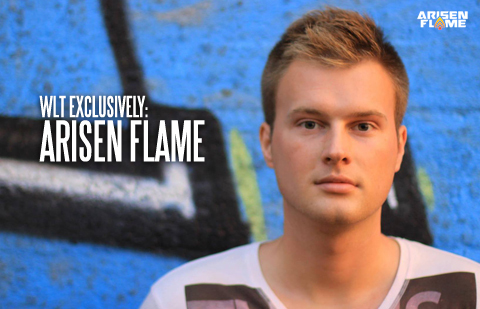 Yes, just for you we have prepared an interview with Arisen Flame!